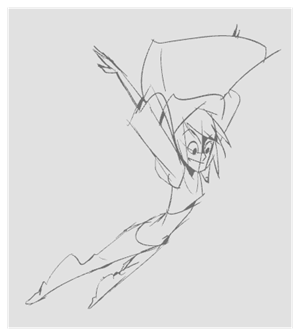 As soon as Toon Boom Harmony is started, you can start to draw straight away using the default drawing layer. In the Timeline or Xsheet view, click in the first cell of the drawing layer. To use a different colour, select a colour swatch from the Colour view. 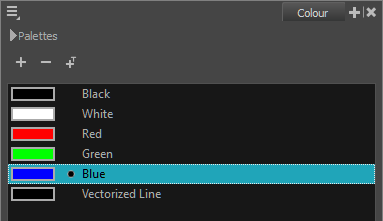 If you need to create a new colour, click on the Add Colour button, then double-click on the new colour swatch to open the Colour Picker window and change its colour. You can also double-click on an existing colour swatch to edit it. Remember that when you edit an existing colour, anything already painted with that colour will update to the new colour.